Welcome as a new Office Assistant, Jara Ibañez! Office assistant positions can be found in all sectors and have a broad spectrum of skills. They are sometimes referred to as secretaries or administrative assistants, but what they actually do is help make an office work. The tasks are very different, often based on the specialisations they have, how much professional experience they possess and what career aspirations they have. This also goes for Jara Ibañez, who joined TSCNET Services as an Office Assistant within the Corporate Services unit at the end of 2018. The 30-year-old Spanish has successfully completed a vocational training in administration and finance. She grew up in San Sebastián in the north of the country and lived on the Spanish Mediterranean coast before moving to Munich in autumn 2017. In the course of her life, however, she has already travelled to 17 countries. “They all taught me something lasting and revealed a part of their culture to me,” says Jara. Besides travelling and exploring new countries, sport is her most important leisure activity. “Sport is the best way for me to get away from the daily routines,” she explains. 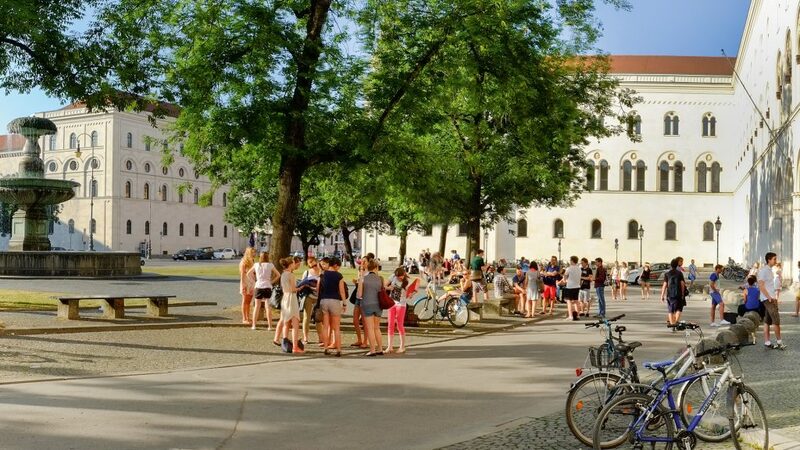 With 15 universities such as the famous Ludwig-Maximilians-University or the renowned Technical University, Munich is one of the most important educational metropolises in Europe with more than 120,000 students. On the other hand, we at TSCNET Services have to be creative in order to cover our need for additional manpower as a fast-growing company in the booming Munich area. There it seems to make sense to hire working students: We gain highly motivated, fresh employees, and the students gain important insights into practice and can earn part of the cost of their education. We currently employ a total of four working students. The working hours are agreed individually with the respective manager, taking into account their lecture schedule, and amount to a maximum of 20 hours per week. The working students are almost completely involved in our day-to-day business and support us in administrative, operational or strategic tasks as well as in ongoing projects. 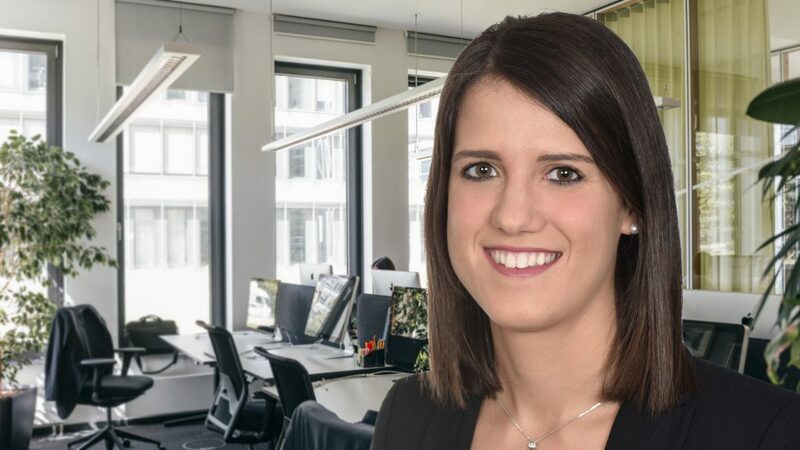 The only 23-year-old Nadine Seitler from Bavaria already has a bachelor’s degree in business psychology with a focus on work and organisational psychology and is currently studying business psychology with a focus on leadership and change management in her second master’s semester. The best prerequisites for working in the human resources department of TSCNET Services. The spectrum ranges from recruiting to onboarding and personal development, e.g. through offers from the TSCNET Academy, to the maintenance of personnel files. Nadine chose our company because it allows her to get to know a completely new industry and at the same time to expand her existing skills and experience in the HR area. She thus embodies the basic idea of working as a working student: Gaining “real-word” experience toward your future alongside your studies. If you or a student you know wants to follow Nadine’s example: Exciting tasks and projects at TSCNET Services are waiting for further candidates, and the benefits are greater than the amount of the paycheck! Power supply for Team Operations – welcome, Ana! Apart from being the biggest team at TSCNET Services, Team Operations is also the fastest growing one. Living up to its dynamic reputation, the team has welcomed a new member: Ana Veselinović. 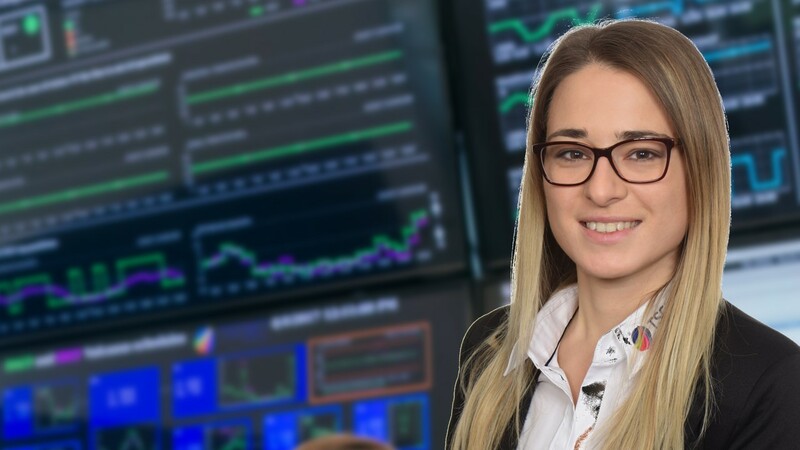 Ana started her carrier at the Serbian transmission system operator (TSO), Elektromreza Srbije, right after she had finished her bachelor studies at the Faculty of Electrical Engineering of the University of Belgrade, the capital and largest city of Serbia. During her first year of working in the market division as an administrator of electricity market, she also continued and finished her master studies. Ana is profoundly convinced that TSCNET Services is the best place to attain more knowledge and to work on the pulse of system security and reliability. “I am happy that I’m in a team of experts to learn from and to improve my skills”, says Ana. “This job with its many aspects and new experiences is really a complex one – but it’s no problem if you love it, if you are ready to learn, and if you’re a part of a strong team.” Seeing Ana’s enthusiasm and team spirit, we are sure that we have just welcomed another powerful addition to our staff! TSCNET Services is pleased to announce it has released the company’s first corporate video. The video showcases TSCNET’s core services (“Coordinated Capacity Calculation”, “Coordinated Security Analysis”, “Outage Planning Coordination”, “Short, Very Short and Medium Term Adequacy Forecasts”, and “Improved Individual Grid Models” and “Common Grid Model”) for transmission system operators (TSOs) and highlights the employees, our expertise, and our corporate values (customer orientation, integrity, passion, quality, and speak-up mentality). It is also intended to give customers, partners, and potential employees an inside look at our day-to-day operations. The 3.47-minute video using real employees shares what we believe, not just what we do. It was shot with the most advanced filming technologies across the TSCNET premises in Munich, Germany, by KieferNümann, a both experienced and renowned local film production. The development started at the end of this spring and was developed in about three months. For a bird’s eye view of the 14-storeyed building in which our office is located, drones were called in. Watch our corporate video and get a glimpse of the TSCNET spirit. Skilled employees are a part of our success story. That’s why at TSCNET Services we provide made-to-measure training programmes for all of our employees. 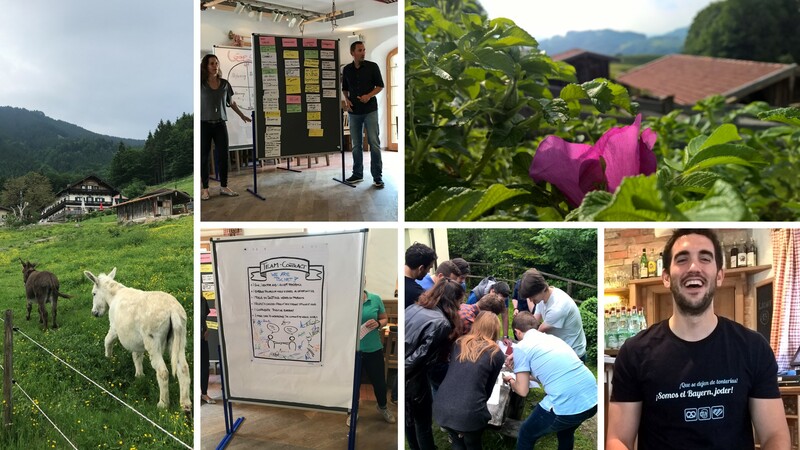 At the beginning of June, most of them participated in our training days in Samerberg in the Bavarian mountains, about a one-hour drive south of Munich. The two-day event out of our working routine was focused on the enhancement of soft skills, such as communication and negotiation, and a better understanding of the specific role an individual plays within a team and its goals. Next to teambuilding, motivation and diversity were the leading topics. The training has also been a great opportunity to refresh and redefine the rules of the successful cooperation and the power of well-thought and constructive feedback. 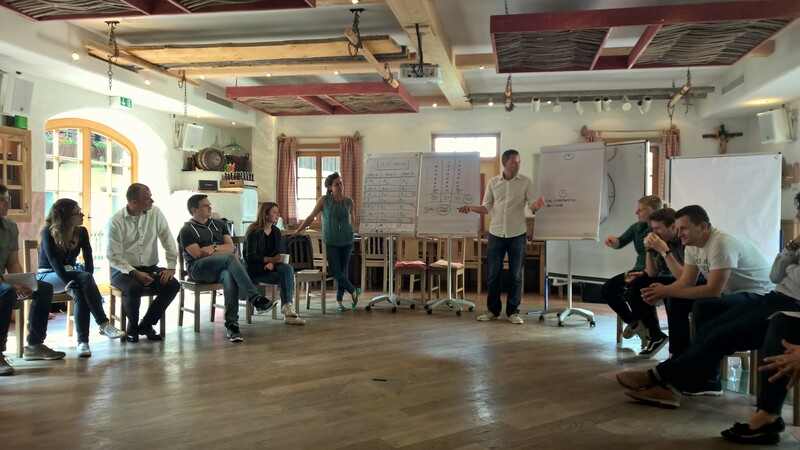 Having in mind our multi-national and multi-lingual team, the trainers had chosen exercises that shed light on the different motives and needs driving our behaviour in every-day business. A body of research has revealed that diversity can be used as a strength to be smarter and more innovative at work. Recognising the underlying differences helps build teams that are able to overcome barriers and ensure performance improvement of both the individuals and the teams. The programme with interactive workshops and a blend of different learning styles gave us the opportunity to develop skills and goals, and to have a lot of fun. 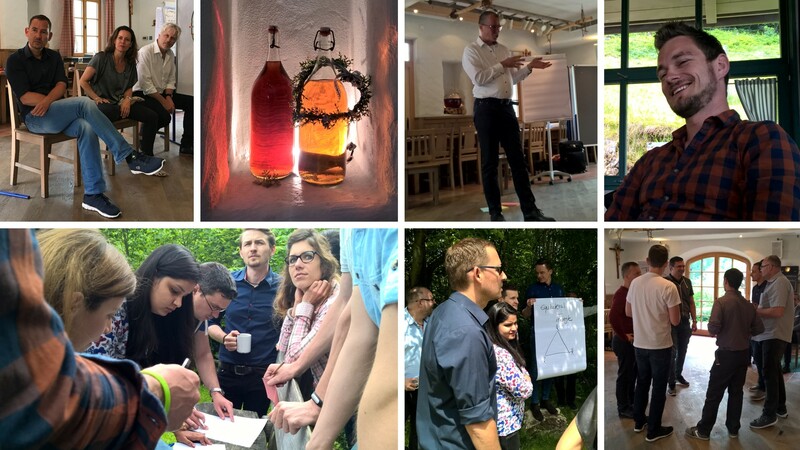 The presenters and trainers – Nicola Rohner (High Balance), Boris Heizer, and Rudy Klopsch – knew how to engage participants with activities other than lectures and bring high energy and humor. The attendees return to work with a refreshed perspective and a boosted workplace culture. Last but not least: “The event was a great opportunity to welcome and get to know our soon-to-be colleagues,” says Alex Küster, Head of Operations. Stay tuned!